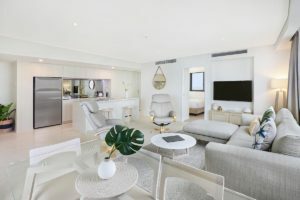 Wake up every morning on your Sunshine Coast holiday in dreamy designer apartment accommodation. Say good morning to those full length Coral Sea views from the wraparound windows of your ocean view apartment that extend from floor to ceiling. 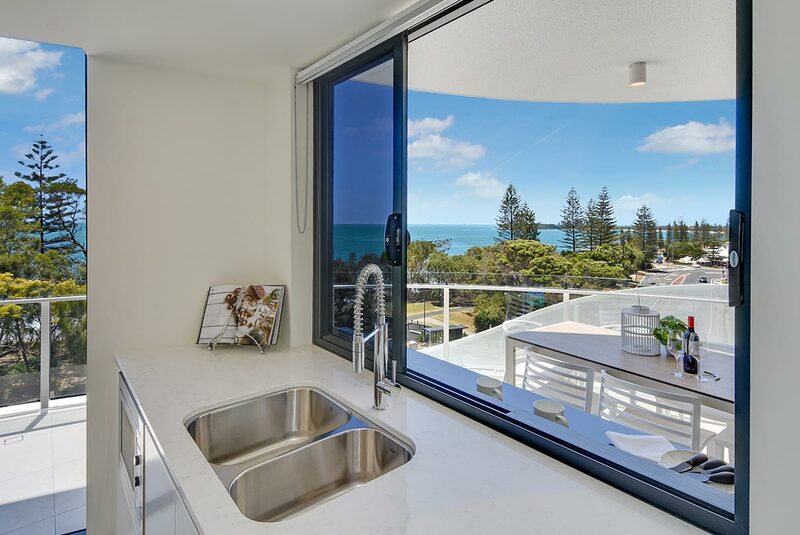 You will find absolute Mooloolaba accommodation beachfront, here at The Breeze Apartments. 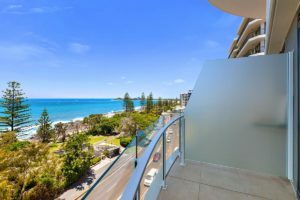 The Mooloolaba beachfront is a holiday destination that invites you to rise early for an early morning jog, or a leisurely stroll on the warm golden sand before breakfast. Peruse the many cafes on your morning outing and ponder what your breakfast will be, and where. With over a dozen cafes to choose from, breakfast will never get boring. Why not go shopping. Mooloolaba Beach esplanade has an abundant range of designer shopping boutiques. In the moments when you are not romancing the sea and sand, take a look at the shops on the Wharf, designer boutiques along First Ave and local shops on Brisbane Rd. Add another piece to your wardrobe — the must-have swimwear for while you are here; or get your Australian gifts and souvenirs — your Sunshine Coast holiday mementos. Dinner time presents more selection challenges. Barbeque your dinner and enjoy it in the outdoor entertainment area of The Breeze apartments, or dine al fresco along the Esplanade at one of the many restaurants. Go international modern, or tuck into Australian dishes with inspiration from the delectable inventory of bush tucker at one of the many restaurants in Mooloolaba. 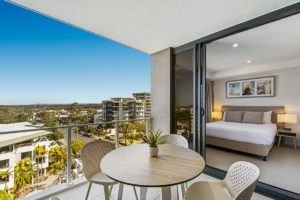 For your next holiday in the Sunshine Coast why not choose our absolute Mooloolaba accommodation beachfront at the Breeze Apartments. Book now.